Dewey was mistakenly pronounced the winner of the election. The court pronounced her innocent of all charges. The incident bore all the hallmarks of a racist attack. Many buildings in the town still bear the scars of the bombing. These results are consistent with the findings of the previous study. What the witness said in court was not consistent with the statement he made to the police. 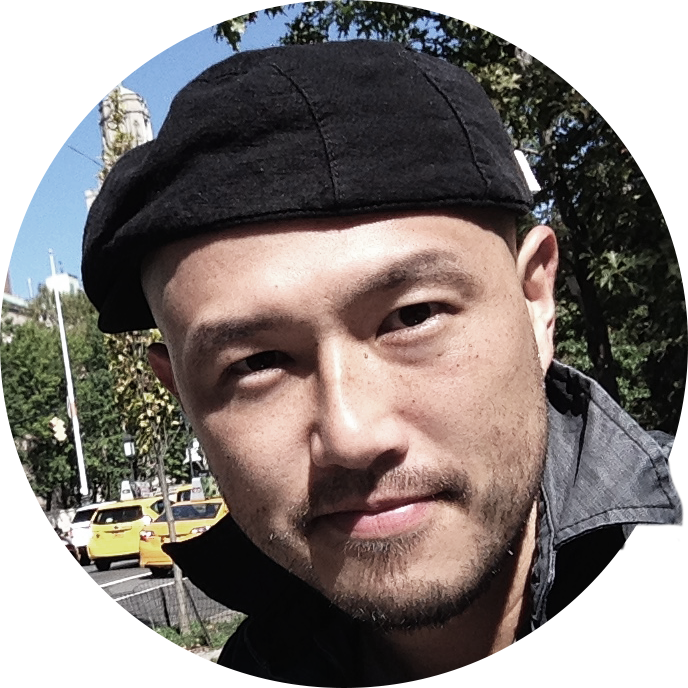 Mobile broadband is quickly gaining traction despite its late entry to the Chinese market. An Instagram daredevil was found dead behind a six-story building in New York. 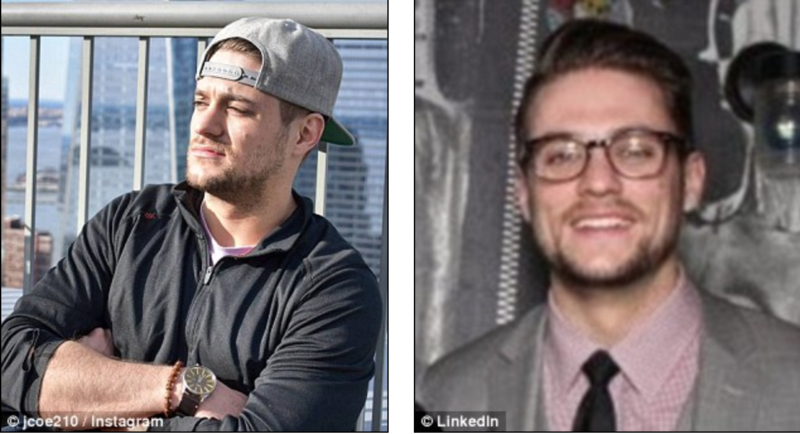 Jackson Coe, 25, was pronounced dead at the West Village, Manhattan, scene when police discovered his body on Thursday night. His body bore injuries consistent with having fallen from the building, the New York Post reported. Local authorities also shared that Coe had been drinking with a friend before the fall. Coe was gaining social media traction for his daring stunts on Instagram. 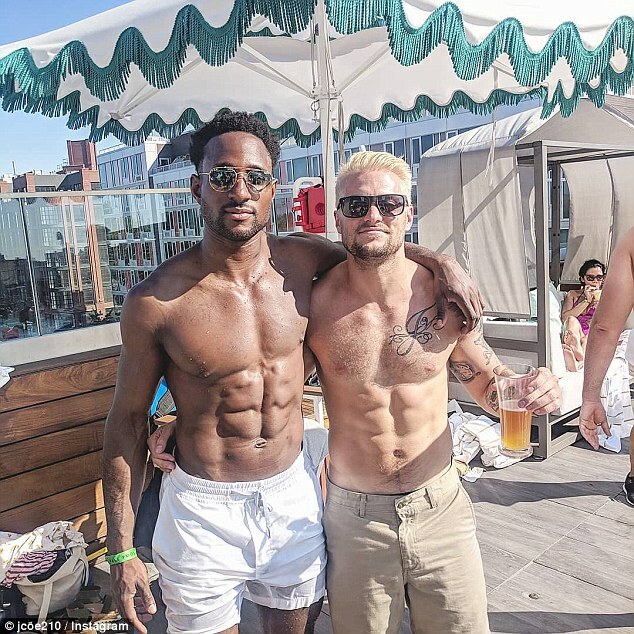 Back in April, the 25-year-old posted a photo of him dangling his legs over a skyscraper in Manhattan that caused a lot of worry for his mother. Loose electric wires were dangling from the wall. A single light bulb dangled from the ceiling. He dangled the puppet in front of the children. 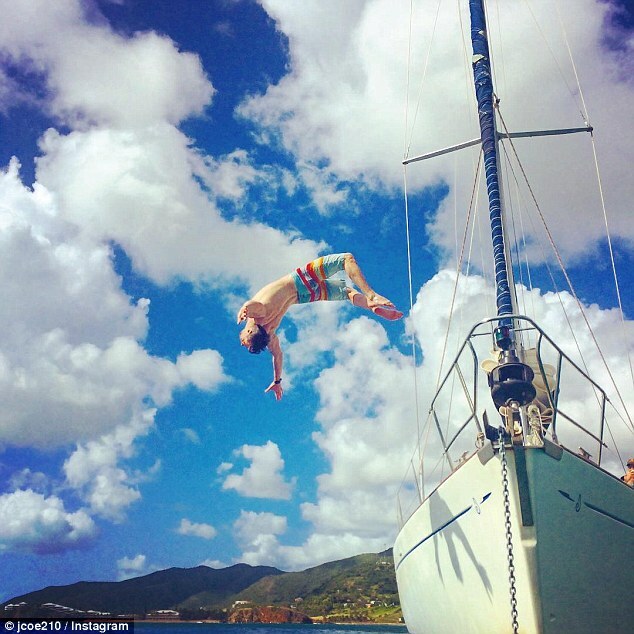 Other photos show Coe backflipping from various objects into water – including cliffs, boat decks and boating docks. The Crown Heights, Brooklyn, resident was a growth-marketing associate at Grubhub. ‘We are deeply saddened by this news, and our thoughts are with Jackson’s family and friends during this difficult time,’ a spokesperson from the company said in a statement. Friend Louis Con, featured in Coe’s last post on Instagram, took to his social media to share his remarks on his friend’s death. Coe isn’t the first adrenaline seeker to die in New York. In 2016, Christopher Serrano fatally fell from atop a F train. He was 25. 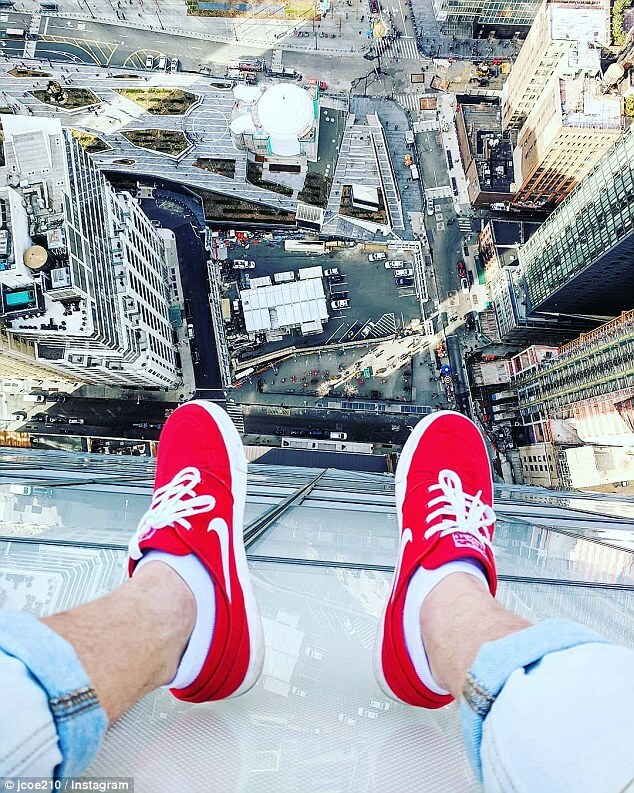 And just a year prior, Connor Cummings plummeted to his death while taking photos from atop the Midtown Four Seasons Hotel. He was just 20 years old. Several people were injured, two fatally (= they died as a result). She sat atop a two-metre wall. She and Harry toyed with the idea of living in a penthouse atop the building. Passengers may board the plane twenty minutes prior to (= before) departure.